Have an extra grand to spare? 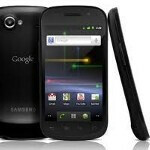 How about buying a CDMA Samsung GALAXY Nexus from Craig's List? If you're a Verizon customer and the type of person who likes to be the first to buy new products, for the low price of $1,000, you can purchase a test model of the Samsung GALAXY Nexus from Craig's List. Big Red has yet to even come up with a launch date for the phone and with Craig List being the online equivalent of the Wild West, there is no guarantee that you will receive the pictured item once the seller receives your dough. Of course, if you can just hold off for a few more days, you might be able to save a ton of money. With December 8th as the last rumored launch date for the Samsung GALAXY Nexus by Verizon, waiting less than a week could allow you to save as much as $800 if the phone rolls out at $199.99 with a 2-year contract as we recently reported. So what do you get for 10 C notes? 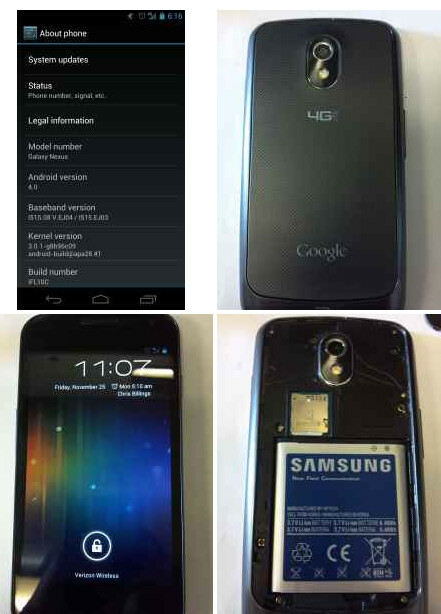 How about an unlocked 32GB Samsung GALAXY Nexus with a custom ROM, unlocked bootloader and clockwork recovery. The omission of the Verizon logo on the back can be attributed to the fact that this is a test model of the phone. And while it looks as though the phone will rollout with Android 4.1 installed, the Android 4.0 build on this device can be explained by the fact that the phone has a custom ROM installed. Once Verizon launches the device, the $1,000 price will go down. But then again, you won't be able to carry one around town and grab the attention and envy of everyone you meet. If that is worth $1,000 to you, go for it! The phone has now been removed from Craig's List. It has possibly been sold, or perhaps Samsung and/or Verizon brought out the legal beagles. This article has been out only one minute and is already updated. Thousand DOLLARS for a slow and obsolete CDMA crap.......??? Heeeeeell nooooo.......LTE maybe.....!!!! First of all, CDMA is awesome, I'd rather have Verizon's slightly slower CDMA 3G than AT&T's junk 3G. I have service everywhere I go. Oh and secondly this has LTE dude. Learn2read. Yup, a thousand bucks for a phone that will become forgotten by February and when CES rolls around. Lol, let the thumbing down begin so PA can "hide" my comments. I don't know why sheep say new android phones will be forgotten. Even if it is its still better than the The iPhone and it will get updates perfectly on time. Also even though some android updates come late the phone still works perfectly fine and the average person wont even know a difference.